Enhance productivity and collaboration across your business with the all-in-one desktop UC phone solution designed to deliver a personal communications experience with easy-to-use features that complement the way you work. The Polycom VVX 600 series is simple for administrators to deploy, maintain and upgrade while seamlessly integrating with third-party productivity applications such as the RingCentral Cloud PBX solution or Microsoft Skype for Business UC Platform from VideoCentric. Leverage previous IT infrastructure investments and protect your investment into the future with options such as add-on video, wireless and other accessories. The VVX 601 is a premium business media phone designed for executives and managers that require powerful yet simple-to-use and intuitive office phones that helps them stay connected across the organisation. Ergonomic design, high-resolution colour, multitouch screen and gesture based, the Polycom VVX 600 series is designed for simple navigation and minimal training, so you can deploy the phones throughout your organisation easily and fast. Polycom Zero Touch provisioning and web-based configuration makes the entire VVX 600 series simple to deploy, and easy to administer, upgrade and maintain. 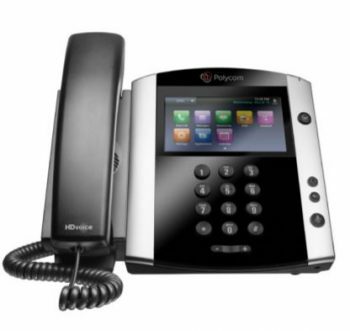 The Polycom VVX-601 has been qualified by RingCentral as the leading high-end desk VoIP phone to integrate with your RingCentral business service. 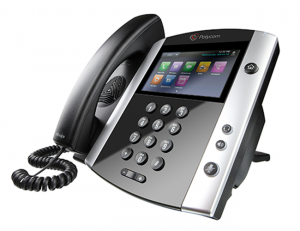 Utilising standard SIP protocol, the Polycom VVX 601 office phone offers a host of call processing features that rival your standard desk phone, including voicemail, call waiting, call forwarding etc. 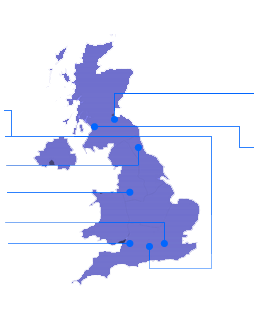 Get in touch with VideoCentric, accredited Polycom integrator, to discuss whether the Polycom VVX 601 is right for your business, or to find out more about the range of VVX phones or other desktop VoIP phones available in the market today.